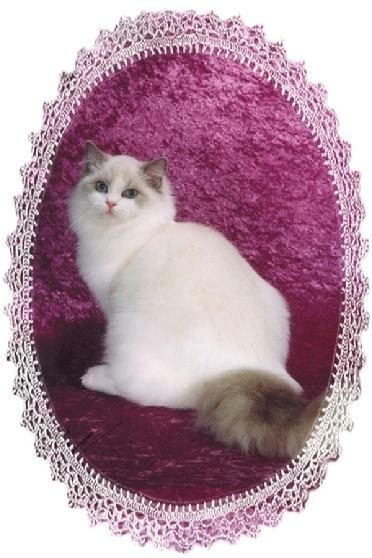 Purrlee Sugar received a Best All Breed Final going into her first show as an open cat along with a 2nd Best Specialty final. 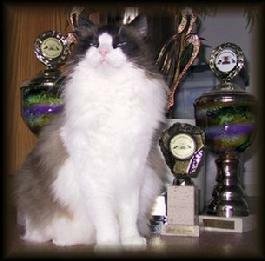 She came out of the show receiving a Double Championship in ACFA. 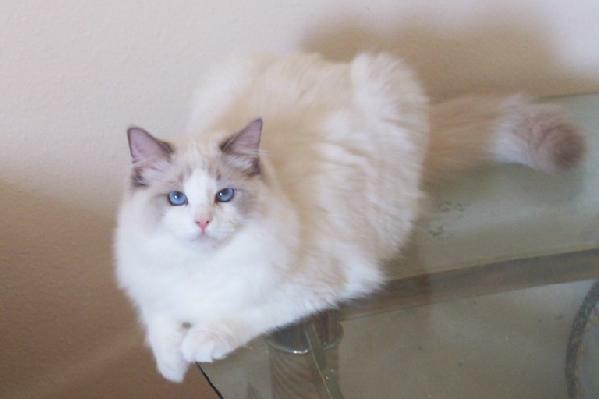 This is Sugar at 11 months of age. "Champion Simonsezz Wrapped With A Kiss"
Keesha received finals at 5 months of age in all the rings she showed in at her first ACFA show. 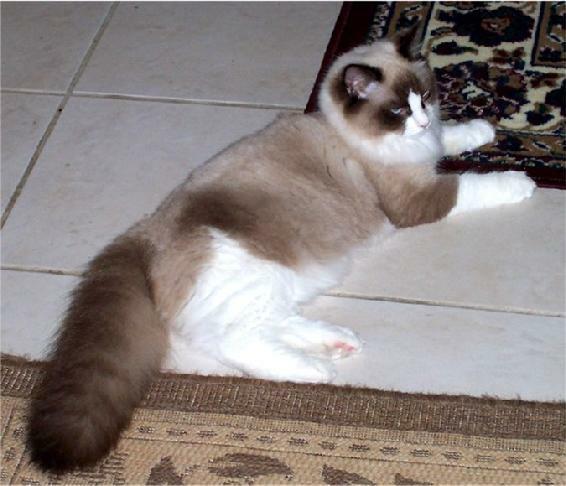 At 7 months of age Keesha received several more finals at the ACFA Plant City, FL show. 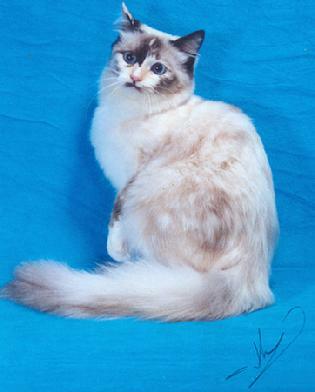 Keesha received a BEST KITTEN ALLBREED Final along with several other finals at the ACFA October Clearwater, Florida Show. 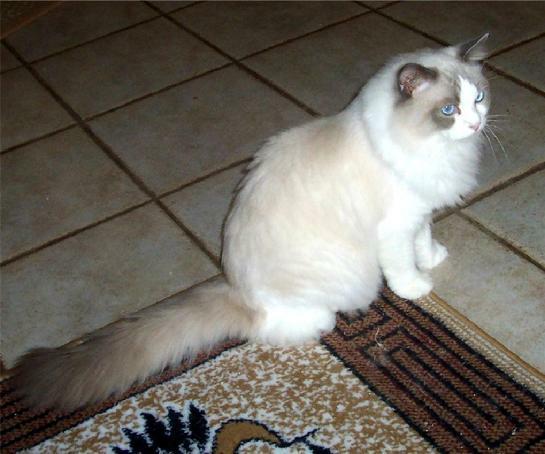 Wellington is 3rd Best Bluepoint Mitted Ragdoll of the Year in the Southeast Region in The International Cat Association (TICA). 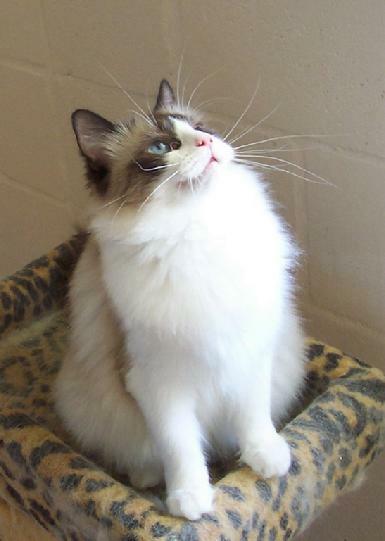 "CH Simonsezz Reach For The Stars" has produced his first ACFA Grand Champion. 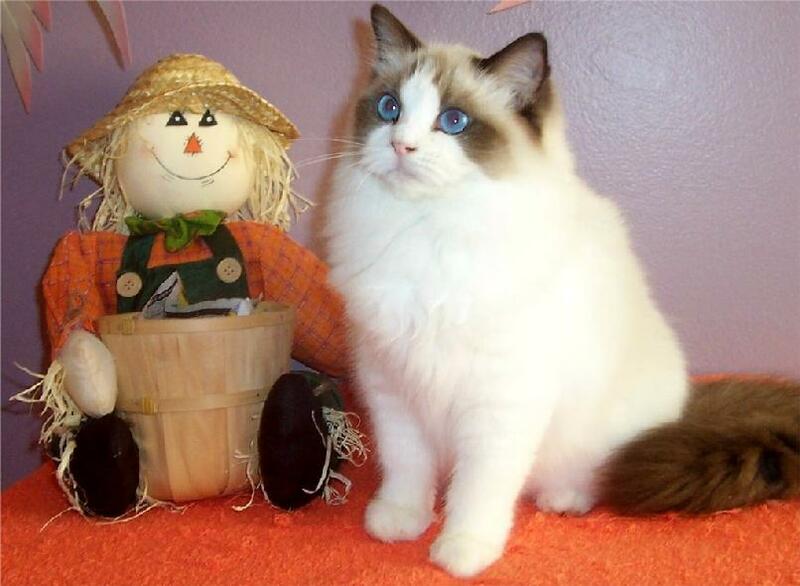 The picture to the left is his daughter, "Grand Champion Absolutedolls Lady Isabella" and is bred and owned by Patricia Andrews of Absolutedolls Cattery. 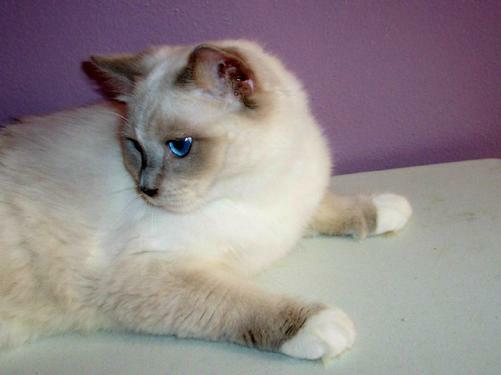 "Ch Simonsezz Mr Klaus" is now owned by Noelle Hookins. Congratulations to Noelle and Mr Klaus for receiving a Best Kitten award along with other finals at their very first cat show. 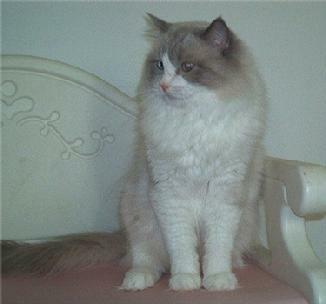 "Champion Simonsezz Sir Worthington Blue", Best Allbreed Kitten 2006 ACFA Fiesta Show, judged by Carol Lawson. On April 29 & 30, 2006, Worthington attended an ACFA show in Winter Haven, FL and attained his title of "Champion". 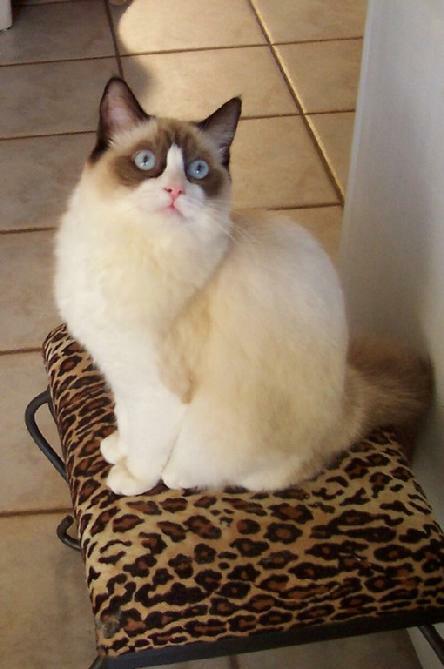 Worthington is now living in Maryland and is owned by Stacy Perry of Old Line Ragdolls. 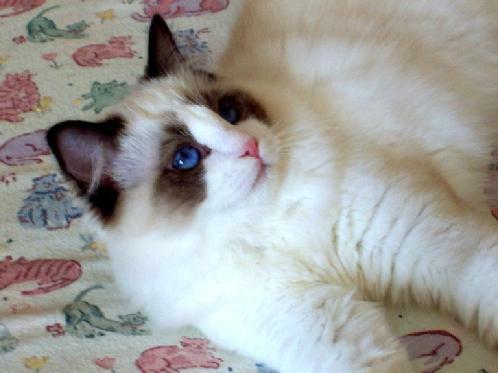 "Simonsezz Sir Wellington", son of "Simonsezz Sir Worthington Blue" received a BEST KITTEN final at his first show along with three other finals in one day of showing. 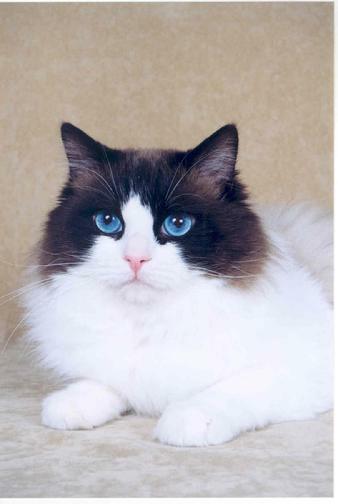 "Simonsezz Unconditional Love" has won several finals at his first cat show showing at ACFA and CFA shows. He is the son of Simonsezz Reach For The Stars and his brother is Simonsezz Sir Worthington Blue. "Simonsezz Never on Sunday" has never been shown but her babies with "GC Ritzyrags Sir Royston of Simonsezz" have all been winners to their new owners. The new owners could not have just one but all took two and one new owner took all three littermates, all as show alter pets. 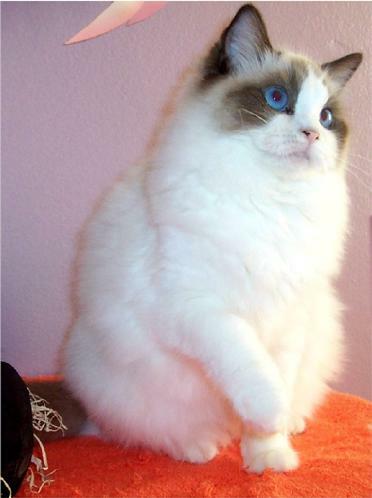 "Trexdolls MS Dreams of Simonsezz", Seal Bicolor bred by Jason and Charmayne Hutcherson of Trexdolls received a Best Allbreed Kitten final at the ACFA Fiesta Cat Fanciers show in Sarasota, Florida. 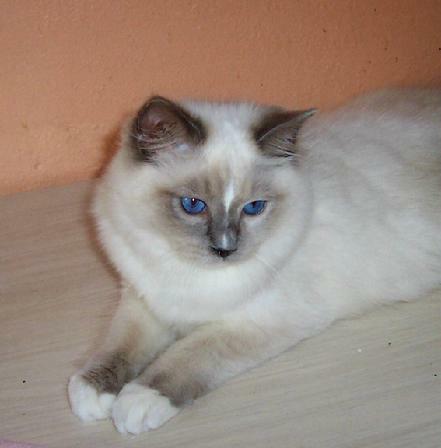 She is pictured here at 7 months of age. Dreams is now an ACFA Double Champion. 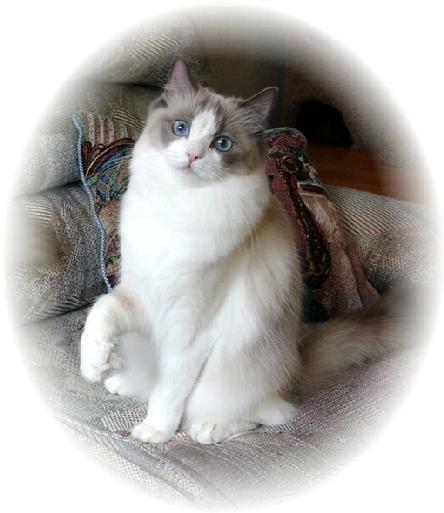 "Simonsezz Sir Brown Lovealot" has just received BEST RAGDOLL out of 43 Ragdolls competing at a European Show. Simonsezz Sir Brown Lovealot is owned by Len and Ton van Galen of the Netherlands. 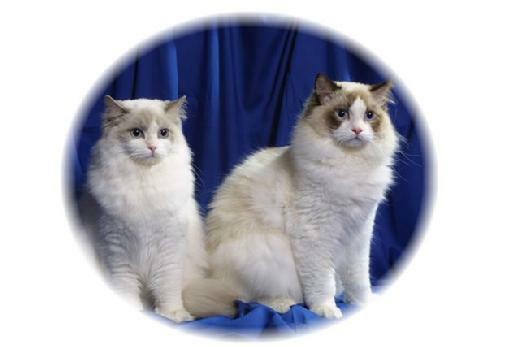 CFA Grand Premier & ACFA Double Grand Champion ACFA Parade of Royalty Inter American 2nd Best Ragdoll Kitten, SE Regional and 3rd Best Ragdoll Cat. Latest CFA Wins: Best AB Premier and Best LH Premier. Quad Champion "Simonsezz Peek A Boo". ACFA Parade of Royalty and Inter American winner. Now living the good life with her new owners in Palm Harbor Florida. 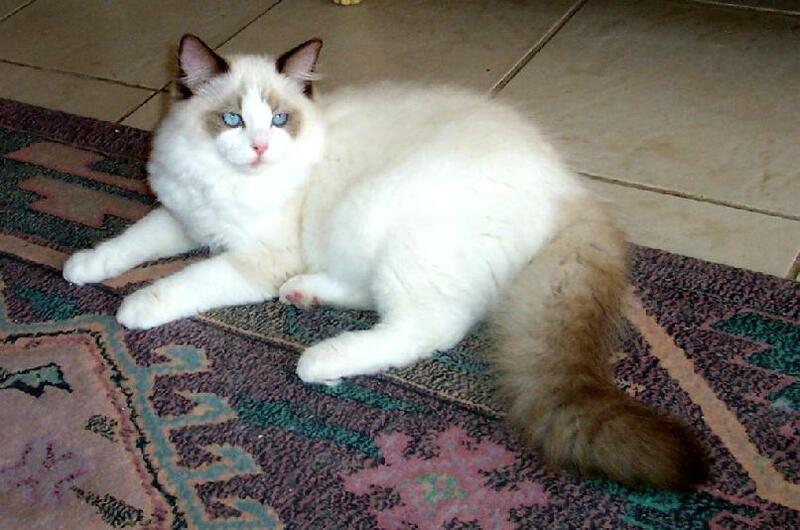 Owned by Leny and Ton van Galen of Phenomenon Ragdolls in the Netherlands. Lovealot has had many wins and is now producing beautiful babies and has brought a nice friendship to me and his new owners. 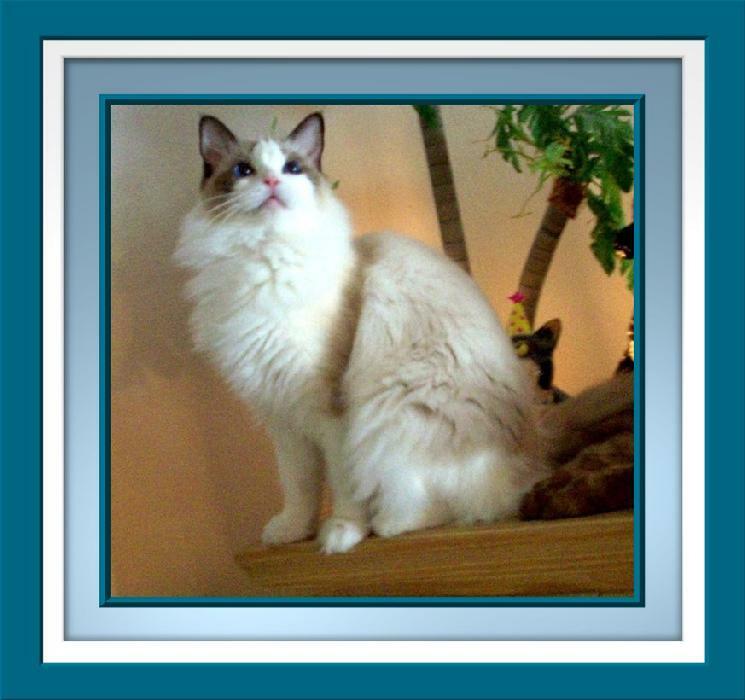 ACFA Quad Champion "Simonsezz Samson of Absolutedolls"
CFA Champion Simonsezz Crystal Blue Purrsuasion (Not pictured). Both owned by Patricia Andrews of Absolutedolls Cattery.